Nancy Faye Midkiff, 76, of Woolwine, passed away at Skyline Nursing & Rehab in Floyd on Thursday October 25, 2018. Born on Jan. 9, 1942 at Ferrum, VA.
Nancy started out working at Donn-Kenny Inc. in Floyd and later went to work at the Christiansburg Donn-Kenny Location for several years. After that she worked at Pannell in Floyd for a long time. Proceeding that she went on to retire from Sara Lee Apparel in Woolwine; working double shifts at times. She was a hard worker and helped a lot of her neighbors. She was a great lover of all animals. Nancy attended Floyd Baptist Church in her younger years, later attending White Rock Church of the Brethren as long as she was able while going to various churches in-between. Nancy is preceded in death by her husband: William “Sam” Midkiff, parents: Ralph & Malinda West, and brother: Eugene West. She is survived by her brother: Roderick West (Faye), brother-in-laws: J.A. Midkiff (Linda), Conrad Midkiff, nieces & nephews: Gina Straub (Stu), Jason West (Angie), Lisa Baker. Funeral Services will be Sunday October 28, 2018 at 2pm at Gardner Funeral Home with Rev. Michael Pugh and Rev. Hebron Quesenberry officiating. Interment will follow in Woolwine United Methodist Church cemetery. Friends may call after 6pm Saturday October 27, 2018 at Gardner Funeral Home where the family will be from 6pm-8pm. In lieu of flowers donations may be made to Smith River Rescue Squad, or SPCA. 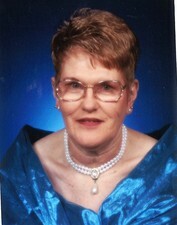 Online condolences may be made http://www.gardnerfuneralhomefloyd.com or on Facebook @gardnerfuneralhomefloyd. The family is being served by Gardner Funeral Home.